I’ve loved the serviece you guys have provided since I got my first D100 digital camera in 2004. Now this announcement of your “all new” website really has me worreid. Why are you tring to fix something that works so well? It also concerns me that when I went to post a reply to your blog post it wanted to sign me up for facebook. I dont care for social media at all, have no interest in it. Facebook cannot be trusted, and I’ve read too much bad press about their blatant disregard for ones personal information. To think you would partner with such an organisation for your announcement like this give me concern that you arent regarding our security very well either. Please, please, please dont screw up such a wonderful product & service that you have. At least give us users an option to keep the old format if we dont like the new. Remember, we are PAYING customers ! Hi Jeff and thanks for weighing in and sharing your concerns. We hope that you’ll be able to tune in next week and always know that our heroes we’re happy to answer any remaining questions you’ll have after the broadcast! Give it some time I bet you will love it… I don’t know abotu social media some don’t care for it and you should not be force to join. But smugmug is a social media site. some might not use it that way but if they stop focusing going down that path they would not generate a profit. I do agree you should not be force to join facebook. I cannot comprehend why anyone including yourself would not want change? This needs to be fixed in this update. people don’t want something thats even the tiniest bit complicated when they are buying. I have had to limit the products i can sell because of the cropping driving me absolutely crazy! With the world populated by the Amazon and Fleabay 1 click generations Smug needs to get with the program. In respect of your we are the paying customers… Exactly and i can’t pay the bills if the punters find the buying process too hard. Unfortunately these days if you are based in Europe you HAVE to have a printer in the states to dispatch work from in case someone wants to buy it. You don’t use social media. I honestly cannot figure out how people can hope to sell work and not use it. I get decried enough for refusing to use pinterest but no facebook? The average punter spends 2-3 hours a day on twitter facebook etc. Bravo! I agree totally! I feel ABSOLUTELY DISRESPECTED with the way smug mug has decided to roll this out! YOU SELL US A PERFECTLY GOOD PLACE TO SELL OUR IMAGES, THEN YOU ROLL OUT A NEW SITE AND NOT GIVE US (PAYING PROFESSIONALS) DETAILS??? MANY of us run legitimate business through smug mug and are not PROSUMERS!!! Hi Danny and thanks for your feedback. Tuesday’s event is all about finally unveiling what we’ve all been working on for you, and we hope that all of your questions are answered in the live webcast. If not, please reach out to our Heroes and let us know what’s on your mind. Wow! So much feedback! It may have been better for smugmug to just announce upcoming features without getting comments by all of us. The government does that, why not smugmug!?!?!? My only negative was the times the site was down. Other than that I love smugmug and am not afraid of the changes. I only use it to post–my website is what I use to draw customers, so I trust that anything they do to improve it will be positive. I was drawn to this site many years ago because of the ease of uploading and the true colors they displayed. I am sure that will not change in the future. @Jeff Roberts: There are also plenty of us paying customers who would like to see Smugmug step into the modern era of web technology. I realize it’s a tough balancing act: alienate the older customers who spent so much time and money to customize their sites? Or alienate the newer ones who aren’t concerned with legacy, and demand something that can compete with Zenfolio, Photoshelter, Squarespace, and others? At some level these are incompatible goals. For SM to upgrade they have to give up the legacy features at some point. I’m sure they will give the older established users plenty of time to port their site. Ideally, the new interface will be so good that legacy users won’t need to maintain their old customizations. Many of these were devised because the old interface was limited and people had to build hacks even for quite basic features. If the new interface has a broader range of features, options, and user friendliness, then it will benefit the legacy users as well. PS You don’t need to use Facebook connect. You can just type in your name and email. Or you can use a WordPress, Twitter, or Facebook login. All told you have 4 options. Can’t wait. In my four-plus years as a deliriously happy customer, I cannot think of anything that SmugMug does not do well. You have the best picture-sharing portal in the known world. The customer support is unparalleled; no one in ANY industry even comes close. In a word, SmugMug rocks! I’m exiting hearing this. I cannot wait the day to see those changes. Thank you smugmug. Finally, it was about the time to make changes. Especially in making easier to do customization of your own portfolio site. First time after many years I was consider it to switch to 500px. I can’t wait to see what you guys can offer. 500px although nice are not a proper sales outfit. Might as well just put a sign up that says hey take me am yours! Are you going to fix the buying process? Everything else is irrelevant rubbish if the punters cannot figure out how to buy from us. If you don’t fix this then you are failing in your duty to us the fee paying punters..
Its not straightforward, its locked into turn of the millennium assumptions that the punter is only buying from us because we are wedding togs who have sent them there. The whole business of making my images look fab is wasted when the tiniest buying cart ever invented is perched high above it. its no coincidence that i get approx 25-1 ratio of sales on FAA with no more traffic than i do on here. Please don’t build us all up into a frenzy of expectation and then not deliver. I’m seriously worried now, i joined because i like smugmug the way it is . why does anything have to change. Surely you can let us know what is going to happen before july 30th. One thing that could be improved is the buying process, i did not pay for the option as it is so bad. 1. Simulator to see your product with the mattes/framing before you commit to purchase. 2. New products like iphone and ipad cases that everyone is clammering for. 3. A way to order WITHOUT the need to crop. 4. Easier way to locate ordering options, sharing options, etc. 5. Better resolution of our images like they teased us with almost a year ago. 6. A way for clients to design calendars and photo books of our images. My renewal comes up on August 18th, so this better be worth my now higher annual fee…. Should we start to back up our photos now or is the new service opt-in ? Wow, it’s interesting to hear all of the comments that people are scared of change. I’ve been waiting a long long time for SM to change to a newer look after they made an announcement a couple years ago. It was painful to wait and wait so long for SM to implement a change. I was even a vocal critic of how long it was taking. If anyone likes the way it is now on SM, I’m sure that it will be good after some changes as well. SM has been listening to a lot of customers for awhile about the change. I think that some photographer left SM because of the more modern changes that were happening on other photo sites. I left and then came back, but I was not happy with the look of my SM site. It was so painful for me to change the look of my SM to make it nice. mattgeorge.me is the site if anyone wants to see what I did with it. I’m sure that I’ll have to learn how customize my SM website again with the changes, but that will nothing in comparison to having to look at the very old design they have now. I think SM has been long overdue for a facelift. I’m excited to see some big changes at SM and I can start telling my photo students that I teach about the new look and maybe now they will be interested. Everything changes, everything. Look at car designs. They are always coming out with new things every year to be competitive. If a design stayed the same forever, the company would have a very small group of customers. That’s what draws new people to a company. Something fresh and new. It also keeps the customers they already have, happy as well. As a photographer, I still shoot film for fun, but if I want to be financially successful, guess what, I’ll have to have had made a jump into digital. I can still appreciate film, but to keep up with the big dogs, I’ll have to make some changes into digital. I use a darkroom and I have a Nikon D600. The best of both worlds, but that doesn’t always work with a company. Hey, if you disagree, fine, but at least let’s see what SM has been working on for a couple of years now with this big change. I’m excited. I support all of the hard long hours and the risk that SM is taking with this new look. I do hope that the buying process will be improved upon as well. I agree. Let’s give SM a chance. People are rushing to judgment without knowing what alterations are forthcoming. You hit nail on head: Some people freak out over change of any kind, even it is for the better. Yes, I agree with you. Let’s wait and see the changes. Everybody is so terrified of change … why? The existing customisation interfaces and options are dreadful. I’ve got my site looking (mostly) the way I like it, but only with a colossal number of hacks, tweaks and patches. I’ll second the shopping cart comment above too – it’s just not user friendly. Even *I* struggled with it when trying to describe to someone how to use it, and it was on my website!! I am using the 14 day free trial for hosting. Will the new Smugmug be redundant? To be clear, I’m not afraid of change; rather its just that have seen so much “change” in the tecnology realm in recent years that doesnt go well; that it makes me very skeptical when I hear of it up front. A good example: A year ago I recived a new corporate PC running WIN 7 and an upgraded MSOffice suite, part and parcel with that is Microsofts new ribbon bar concept that took away the drop down menus. Now I’ve been flogging this thing for nearly a year now, and I still curse the walls trying to find things that I used to be able to access in a second without a moments heasitation. I suppose if youre the type that spends your whole day in front of a PC then you’ll get used to it. I’m not. My work requires me to do many different tasks in adverse conditions and the computer is just another tool; perhaps 10% of my workweek is spent on a computer; however when I need to use that tool, I dont have time to go through learning exercises every time. As far as smugmug goes…..I’m not a professional photographer. Just a guy who loves photography; I have no desire to take the joy out of one of my hobbies by tring to pay the bills with it. I really dont want to have to spend time having to re-learn an interface just becase someone within Smugmug’s marketing dept. feels the need to play a tecnological game of keeping up with the Joneses. What we have works fine. Smugmug offers customization if you need to customize. Personally I have never felt the need to customize beyond the basic layout. Based on a post in their forum that SM posted over 2 years ago, I believe that many people would like SM to be updated. It is very difficult for a company to please everyone, so I imagine that they are taking a risk in rolling out something new, because many people could be upset about learning the new interface. Everyone has his or her individual experiences with SmugMug. Opinions expressed both positive and negative, as is to be expected. Reason I welcome forthcoming makeover is because as a subscriber for 4.5 years, mine have been 99% positive. Functionally, SmugMug has more than met my needs. What keeps SmugSmile on my face more than anything else is the quality of tech support from Support Heroes, who in my opinion ranks second to none not only in picture-portal-hosting, but in any industry. As any of the SHs who have heard from me, and there are many, mainly because as card-carrying Luddite, I have had my Frequent Flyer Duh Card punched so many times that is resembles Swiss cheese. Thank The Lord for Scotch tape. Is SmugMug perfect? Of course not. I have voiced a few grunts and groans of dissatisfaction — caused mainly by technical cluelessness frustration on my part — but on the whole I have been over-the-top happy. I challenge anyone to name another business in ANY industry that provides better tech support day in and day out. Rarely has response time been more than two HOURS, when “two to three days” is the accepted norm. How SmugMug does it, I have no idea (surprise! ), but it could serve as a model across the board. This is the principal reason I remain a subscriber. Will the makeover be perfect? No. Will it satisfy everyone? No. I am willing to bet my next Social Security check (not all that large, actually) that the overwhelming majority will find themselves applauding the changes. The only request I have is to upgrade so my site works properly on my Ipad! I have been on the site many times recently and have getting “we are working on this” I would like a site that is available 24-7 and I have been unhappy with smugmug as it is. So if the new changes don’t fix that then I am going to look for another place to host my photos. Right now I can’t log in to my site, and I have customers ready to see their pictures. So before you do something new, please fix what doesn’t work on the old. the way you look at things. You want things fixed but your not willing to allow them to upgrade and launch a new fresh interface? How very strange. We do periodically have a maintenance period on Thursdays, but it’s not every week and we do alert our customers in advance about any expected downtime. If you continue to have issues logging in or reaching your site, our Support Heroes are always, always happy to help and personally help you troubleshoot! The change comes at the right time. I was just considering moving to squarespace just on the account how dated smugmug is. But as squarespace is more expensive and slow in my country, I will hold back to see the new stuff. Let errrr rip!! Why wouldn’t you have given us a “Beta Version” so we can test it out 1st… Or are you going to give us the option to use as is and or the newer version? I’m sure it’s going to be sweet! I want better templates! I don’t know anything about CSS style sheets or java, or code. I like templates so that I can just drop my photos into and want to make it more blog like, on the front page and the galleries with proofs for clients. Maybe it can be done now, but I can’t figure it out! I’ve even seen music on some other sites, and it makes your visit there so enjoyable. I like the WordPress portfolio’s that are on ProPhoto. I drool at some other photographers sites and want that very much. And I wanted to jump ship but waiting til Tuesday to see what changes. Thanks for the support and for sharing the news, Samuel! Hey I lost my Smugmug camera strap. Can I have another one , please!! Oh are we all getting one? It would be nice if domain hosted users, like myself, could have everything under one hat. I have to use several control panels, one for smugmug and one for godaddy…even though I pay for one service. The gallery user interfaces are limited, compared to what is available elsewhere, and not having my own images on products that are in my store seems backwards to completing a sale. All criticism aside, I am excited about Smug Mug and their potential, and I hope that these new upgrades will include ways for manipulating individual web pages easier. I’m apprehensive any time an online service touts something as “all-new,” and/or an “upgrade.” These words are virtually always code for imposed reductions in features and usability, as well as euphemisms meaning change for its own sake (or for the operators’ – not the customer’s – ease and preference). We’ll see if SmugMug’s overhaul proves any different. I’m not afraid of change; I’m apprehensive about involuntary change for the worse. Im amazed at how so many people are against change, its totally ridiculous to sit there and think if it aint broke dont fix it. If thats the case i would expect those who say it to live by it and never buy or upgrade your photographic equipment or lenses. Its a stupid and idotic way to think in the digital world of today. If you dont upgrade you stay a relic and you will be left behind. This world is all about survival of the fittest and if you cant keep up you will get chewed up and spat out. Change has to happen, while it has its disadvantages it helps keep things fresh and keeps things in the here and now the modern age. This is the way of it, SM needs to be in a position to compete with its rivals if its to stay a contender in the market. That simply can not happen unless change is implemented at the right stage of a growing business, becuase lets remember and face fact here SM is not only a place for photographers but its a business that makes a shed load of money and that has to come first if SM is to survive. So to the Dinosaurs out there give it a break and chill out. Have a cup of hot coffee and wake up into the real world and get with the modern age instead of being a relic. Its starting to get boring. Please don’t change. I don’t use it and I certainly don’t want anything to do with Facebook. I you are against change you have to find another provider. SmugMug needs change. Desperately. The look of the site is 10 years behind of the competitors – and there are a lot of them presenting photos in a muchs better way. If you are in any doubt go to Photoshelters new service, Beam, and be impressed with cutting edge presentation of photos. The world is moving forward – SmugMug has not moved anywhere – just had a growing number of photos. Well we will just have to wait to see what next week brings since the powers that be in Mountain View feel the need to delay a roll out but needed to make a proclimation a week in advance. I looked at PhotoShelter, Zenphoto et.al. Sorry its not for me. If I were a working photographer needing to market my work; then my take on this would be different. I can understand that if you are marketing yourself you need to constantly tweak & tailor the image; keep it trim and concise. Seems to me that Smugmug already offers customization if you want to make your site look better then why not just do that? Or hire a web design consultant to put together a site that meets your needs and direct contract a hosting service? I certainly know that If I were a working pro, that I would have a seperate smugmug account or perhaps one of the other hositng services for a seperate domain for the business of selling tthe service. Smugmug clearly has 3 tiers of service; its not all about the workng photographer; and as I see it the needs of these different types of customers are significantly different. For me this is just a digital photo album for my own personal needs to share with friends & family; nothing more. Yes I have thousands and thousands of images. I’m nearly 50 and I’ve been the “family photographer” since I was in my early teens and recived my first 35mm. I’m happy to pay a modest annual fee to maintain that site; have a clean background and no advertising, and be able to have full resoultion archives as a backup. It also irks me when others send me links to their photos but the hosting site wants me to register to simply view them. No thanks, I’m not going to sign up so that they can harvest my email, and I don’t want others to have to do that to view my photos. Flickr is more like Facebook = trash. Photobucket is just flat out garbage. I’m happy where I’m at with what I’ve got. What’s wrong with being content with what you have, is it really that much of an alien concept? How will I be able to learn about all of your changes if I’m not able to be present for the live announcement? Will there be an option to view the “press release” after the fact? Hi Paul, the broadcast will be available on Ustream afterwards (at the same URL shown above), even if you weren’t available during the live event. We understand that not everyone can make that time slot, so you’ll be able to see it at your leisure. I’m very concerned about any change to the layout of my page. I’ve abandoned Flickr because I simply can’t stand the new layout. I pay for the full Smugmug experience, however if my page is changed and I have no ability to restructure it back to my own liking, well, then my Smugmug experience will also end. Customization and choice is the key. If flexibility is removed, then that is a HUGE business mistake. I’m looking forward to seeing what updates the heroes have in store. I’ve been a Smugmugger for so many years now, and it has been a reliable service that has added one useful feature after another. I know some may feel that the overall design needs an update, but I think my site looks great and is easy to navigate and search. The fact that it is so convenient to publish from Lightroom and access my photos using a variety of apps for iOS and Roku are important for me. I’m concerned that changes to the API will break the Roku or iOS apps I use almost every day, but hopefully that won’t be the case (or hopefully the developers of those apps will be on top of the changes). The only thing I would like to see change is a better experience for mobile browsers, but I am open to a new look as long as it doesn’t sacrifice some of the functionality (including old links to my photos). I really appreciate how Smugmug has evolved over the years to remain one of the best services for photographers. It’s a tough business when there are so many free options for displaying, sharing, and ordering photos. I’m an amateur photographer, so I certainly don’t need to subscribe to a service like this, but Smugmug continues to be well worth the subscription fee for me. What we are hearing, I suspect to the surprise of no one, is a mixed bag of comments on the “new and improved” SmugMug rolling out next Tuesday. We humanoids are an interesting lot. At the extremes, whereas some are saying, in effect, “Can’t wait, bring it on,” others, apparently terrified at the prospect of change (“if it ain’t broke, don’t fix it”), have retreated to the safety of their bomb shelters, fretfully awaiting rollout fallout. As a longtime, hugely satisfied subscriber, I would caution those about to quaff a fistful of Valium to chill. Based on personal experience, I have implicit faith that the braintrust will unveil a product that the vast majority of current (and future) subscribers will be pleased with. If, on the other hand, what SmugMug unveils is deemed disappointing for whatever reason(s), then go tire-kicking. IMHO, no other provider even comes close to offering what SmugMug does, particularly in terms of customer support, which in my estimation represents the gold standard industry-wide. Looking forward to hearing about the SmugMug updates… I am hoping it will include an easy way to add text information about photo session pricing, specials, etc. Change can be good.The Smug sites look dated compared to what is out there.But I do hope we can have an opt out button for social media and Pinterest.I really don’t need to keep my lawyers busier chasing copyright infringers. We find over 5000 a year on just a small section of images. I am into innovation. My clients want new things, however changes can also be detrimental to our businesses if not done right. But “No pain no Gain” I can’t wait to see what’s coming.new. I’ve just signed up with SmugMug. Mostly I wanted to support Chris MacAskill (aka Baldy) for his making the ADV site available (advrider.com). Like others, I have zero interest in Facebook or Twitter. All I want is to have photos and short video clips stored that I can share with selected folks. Nothing fancy for me, thanks! As a long time satisfied “power” customer I am willing to take a wait and see attitude. A refresh of the page layout and some themes that adapt to different display devices would be welcome provided you don’t break your existing API’s. I have written a number of custom applications that use your API’s and I am not keen about “getting in there” and fixing what isn’t broken. As a professional programmer it’s nice to work with software that isn’t broken all the time. I get enough “development” at work. For all the people asking if they can keep the old and let others use the new, I just wanted to point out one thing. As a software company, Smug Mug has to support its products. Having multiple platforms to support is not only very expensive, it seriously strains the manpower to support multiple platforms. That being said, change is difficult for everyone. Smug Mug only has 1 product and cant afford to make poor changes. When they go all in, I am sure we will all see the benefits. I will say however, if after this new release arrives, if we see another large price hike, I am sure that will not go over well globally with the users. Netflix tried that. OOPS! So I say sit back, enjoy the ride and embrace the change. In the end it will be cheaper than supporting multiple platforms. So many worriers on here. Why not wait until the announcement and see what they’re offering. Just because other providers have screwed their customers doesn’t mean smugmug are going to. I’ve been with them since 2004 and they’ve always provided a good service and are willing to discuss problems and ideas. I’m somewhere in the middle I guess. I’d like for my site to keep working as intended but I’ll roll with whatever the changes are. Business either adapts or dies. Looking forward to this but hope its not another excuse to up the pricing again… if it is you will be losing a loyal customer sadly…. Ooh I really hope there are some changes that will help us non-English customers.. I’m halfway to building my own site and jump ship on Smugmug. Im hoping that SM will allow us to use custom currencies and allow us to have the shopping cart in multiple languages, and order fulfilment through other printers It costs in $15 postage to print a single 10x15cm image that I charge $1 for. No wonder my sales are rubbish. I hope to see enhancements that let us see statistics for the entire year not just the last thirty days. In addition the ability to look at statistics on any date in the year not just Today, Yesterday, Last Seven Days and Last 30 days would be more competitive, useful and appealing. I certainly agree with many others here. What if we are not available to watch the reincarnation of Smug Mug. Change is pretty scary and will involve a learning curve aka time and who knows if it’s for the better. Smug Mug will have us reading for hours to figure out what should be simple. Hopefully, there will be some changes making selling simpler. The shopping cart is a huge hassle and waste of time. Firstly the images need cropping which is so difficult to do through Smug Mug.Upload a new image and delete the old for every order. Putting one’s Logo or signature has to be reapplied for every single crop on every order because a 1% printmark is really invisible. Why do you even have them at all? And, please, we like to speak to humans, not text. Some of us are not teenagers. If this “change” is a hassle, I for one will move on. Grate question. I hope it does play later. I have a dentist appt. I’m ready to be amazed. The potential market and resulting customer base has increased exponentially over the past 10 years. It’s time to more forward and capture a broader audience of professional photographers and photo enthusiasts (like myself). Can’t wait to see what you show us and look forward for another 10+ years with this great company. Pingback: Photography and Digital Scrapbooking by Michele Kendzie » portfolio-building lifestyle photographer, Fredericksburg, Virginia » changes, decisions, sisters, laughing . . .
YAY! I have big hopes for new looks/photo layouts from you guys! Just in time to upgrade to a PRO account! Change isn’t always good but this was really due! Can’t wait til Tuesday…. I hope you are giving the option to leave things as is and not just changing our galleries over night… I’m rather busy this time of year and don’t have time to sit and clean up/ straighten up nor redo a 10,000 imaged site right now. Honestly, I do have bad feelings about this. I’ve been with SmugMug a long long time for a reason. I don’t want to look for another service tomorrow. omg change! ack! luddite tendencies (and fear of pinterizing) aside, i’m looking forward to the changes. if it means performance enhancements, i’m stoked. if it means the mobile app will work better, even more so (stopped uploading for me again, le sigh). and, know what, having more of a tiled interface and larger thumbnails, more options for layout, faster loading large images – there’s room for improvement so i’m excited. I’m strictly an amateur photog who is still learning. I have no desire to sell my photos. I just want a place where I can store (and hopefully edit) my pics. SmugMug looks more suited to the pros (or near professionals). I only have an inexpensive point and shoot digital camera but I do enjoy using it to capture what I see. When responding to comments please give due respect to your members,remember,,there is a connection between your paycheck and your customer base. Richard, we’re anything but scripted but there are just some things we are not permitted to say before we officially make announcements. We’re sorry that this sounds scripted to you but hearing feedback from our customer base has been the core of company since we started in 2002. We hope that you’ll tune in on Tuesday and that all of your questions do get answered. If not, we’re open to your opinions, as always. My biggest gripe with SM besides the Very outdated look, is it’s WAY to complicated to customize your website. I went on Zenfolio trial and it is a breeze to customize. I’ve been with SM for 2 1/2 years. Smugmug, I am on the fence if I should renew with you – I am leaning towards Zen – plus it’s a LOT cheaper. The customization on zenfolio is extremely limiting! Chad i can help with your customizations. I have found Zen limiting as well. SM is the best option for customization. SM is always improving and with the forum blog there is many support options for customization. Customer Service, even with the online chat option, the SmugElites can be only moments away from helping guide you with your questions or concerns. Have a blessed day Chad. ….Just a couple additional comments…. I am definitely NOT afraid of change – Change is good if done correctly. It seems SM has A LOT of changes to make with an outdated 1990’s ordering process and the only way to really customize your website is pay $500 to have someone do it for you or become a computer expert. My renewal comes up in 2 weeks with a HUGE price increase – Right now Zenfolio is winning by a large margin. Fiona, PDT is GMT-7. I believe BST is GMT+1, so that would mean 18:30 BST. I am extremely grateful to be a valuable part of this. Many blessings of growth and prosperity to all viewers. This is the how i feel… this is a business on my end and smugmugs, they have to compete they have to evolve just as I do. You keep some, you gain some you lose some customers. Some of you are just too damn sensitive…”i feel disrespected” really!? it’s business baby, if you can’t stand the heat then go somewhere else. I LOVE IT!!!!!!!!!!!!!! I just changed my sight. Hooray! David it looks great, but feel free to create lots of designs and switch between them as often as you wish. I missed the first 10 minutes of the presentation, will there be a recorded version we can watch later? Yes! The demo is available to viewing at the same Ustream page for the next 30 days so you can watch it whenever you have time. Enjoy! So looking forward to the new FUN! xoxo Thank you! I would like to keep the Photo Timeline on the migrated new site …… but I don’t see it anywhere. Am I missing it? Hi Alan, the Timeline is available if you go to your site and add /date to the end of your URL. You may want to add that link to your menu bar to make it accessible to your viewers. We will have more tips and info about customizing those pages coming soon on our blog! UI’s looking good. Nothing to add to the praise that’s well deserved. One aspect that seems to not have received any attention: commerce. I’m really hoping Smugmug applies some of it’s creative juice to pioneering how people purchase prints– speed, ease, clarity. Hey guys, i don’t mean to whine but the most important feature is really the buying features… That is why I spend my time and money to put things up on the site. They wre confusing before what about now? It doesn’t seem to have been a priority. Is there any way I can see a completed site? The video was not very informative on the buying features. Is the advanced customizer gone? Hi Smugmug heroes! I LOVE LOVE LOVE the new Smugmug! It’s awesome! My only concern about migrating is that I’ve embedded a ton of my photos in my blog and so I’m wondering if the URL addresses for any of my photos will change? Thanks! You guys are awesome! Looks like the servers are getting hammered….. 2 hours and counting to migrate so I can preview and play…. I DID like the new release until I just received an e-mail response from Smugmug saying that the Community feature has been eliminated. That’s a show-stopper for me. I don’t see myself renewing at these prices unless they bring that functionality back. O.K. so I’ve endured about 14 minutes of the video stream that keeps pausing to buffer…had enough. Why dont you guys simply post a simple FAQ so that we can READ what the answers to these questions are? Sorry, but to me the default new smugmug interface looks like Flicker. Garbage. Yeah the pictures are big. I cant express how underwhelming that is with mere words. The gallery names are not there, which kind of defeats the purpose of organizing things. If I wanted flicker I’d sign up for it. If this is all about customizing, would it be too much to ask that you give us one alternate layout template that just looked like the old classic Smugmug? I really kind of liked it. How long are you going to let us stay as “unmigrated” or legacy accounts? I can not view the USTREAM tv about the new unveiling ? On my iPad 3. Why? i cannot get into my legacy account. i do not want to migrate until the hysteria blows over. But why am i blocked at getting into my old acct even though i did not migrate? very upset! Please do something about this very quickly. After very a very long search I finally understood what the problem was and could correct it myself. This was NOT very logic at all, SmugMug!! now that the ‘rah-rah video session’ is over.. reality is setting in… no options drop downs… then haphazardly they appear at some point.. trying the new format out leaves me with a home page filled with a gallery and pics I do not want there…I tried making that gallery private..no good…I tried putting in another gallery in the mystery appearing options to use as my home page and still no good…it won’t stop loading these pics as my home page… tell me you guys are not serious about this boondoggle you created… and to beat the band I’m paying for this… you’re gonna lose a lot of die-hard paying SmugMuggers after this mess especially when you ‘pull’ the Legacy option which I know is coming..just a matter of time..
FWIW creating a site is NOT the only thing that people want..even though that’s all you cared about in your video… they want to have e-z access to all of their pics in a concise organized e-z to view experience.. and this new look is NOT doing it for the average SmugMug user.. maybe so for the engineers and the whoevers that created it but that’s where it ends… ‘you lost that lovin’ feeling’ !!! I am beyond frustrated. VERY disappointed. I woke up this morning going over the introduction (i watched live) and frankly all I could think was “I should have known” I have loved smugmug. Once I figured out how to used to its nuances it became my go-to site. I love the support. I walked away from the video cast yesterday saying to myself “did they even prepare for this?” The engineer reminded me of a speech I saw in college of a guy showing us how to do a Rubik’s cube “you go like this, then like this, then like this, then you do this, then….” My point is that everything seems unprepared. The rollout from the speeches on out. The site, well….frankly I don’t want to wait for the changes Smugmug is going to make going forward. I have spent hours trying to get my site CLOSE to what i would call acceptable. It is NOT the easy “well just give it a try” layout that I heard about yesterday. Maybe to those familiar with the changes, or those that got to see it grow up bit by bit, but strictly from a user point of view…..nope…..not that easy. I cant even begin to start what bothers me the most. I don’t even want to spend the time going into detail. I will say this though. I wanted a site that when you went to it, had a structure that was easy to understand for the user. I put together a site from an example, hit preview and had 5 people come to my computer and navigate. I got the same thing from all of them. “where did everything go, how can i find “x”, “where is your “x”. For now, I will continue to struggle unhappy AND for the first time in years, will look for a replacement. I am bummed, but if i am going to spend the time it seems like I will have to, I am going to do it with a site that is cheaper and has better structure. I COULD be completely wrong, not understanding how I am supposed to do things, not understanding where or what to click. Thats my point….it should not be that way. i agree.. they seem unprepared with no real rigorous, step by step information! now the hell is that I have not even tried to migrate and just thought i would wait awhile and cannot get into my old legacy site! I log in, but it is frozen! anyone else having that problem? Hey there – I just love the new smugmug! you did EVERYTHING RIGHT. I am speechless and as I said: I JUST LOVE EVERYTHING about the new features and site. I just finished changing to the new SM and my photos look sooooo damn fine now. I just recently switched from flickr to this service and I am not regretting it – what a good timing of me, hmm? First of all, when I want to embed a gallery with arrows and thumbnails – where do I find that now? I think in the old SM it was called “Show off”, right? Now I can’t find it in the new version. PLEASE also update the feature! The embedded galleries with arrows and thumbnails not only look oldfashioned but really ugly I have to say. That was the one and only thing flickr got right. Maybe you know the embedded gallery design of flickr? Of course – if not – please look it up and PLEASE transfer it to a new design too! As a highly active blogger I love to integrate / embed my galleries into my blogposts and use that embed feature regularly – but as I said, I think it looks kinda cheep and an oldfashioned geocitiies altavista widgtbox. Imagine the embed galleries in a sleek metro / windows 8 style like you already have lots of designs on your new SM. So… I know: one step after another… but will you guys have a look at your embeddable stuff? sharing and embedding in our times of blogging and social media is really important, as you all know. Cheers from Germany and really looking forward to your thoughts! Thank you and keep up the good work!!! I, too , am frustrated and unhappy that I am going to have to spend more time researching a new site that I can actually use. I am not a computer engineer, I started years and years ago with film and finally made the transition to digital. I have accepted that at my age the learning curve is greater than those young guys on the video, but they have not made this Smug Mug easier. I do NOT want all those randomly selected pictures on my page. Drag and drop? From where? I read through some of the preliminary dialog and it’s big on telling all we can do, but not HOW! I wouldn’t know where to start with emailing the “heros”. My first question would be just that, where do I start? I have spent a couple hours and I agree the organization is better, but not in a better place. I want my Folders (categories) on my home page. After a couple hours I have still not figured out how to do that. So does anyone have any idea where there is a good site for someone that is not a rocket scientist? Why didnt you guys come out with detailed instructions? Youtube videos? step by step? You just threw this out there and want everyone to do the work that you should have done… hoping that the crowdsourcing would give information that you could not figure out! Very bad! I can’t agree more. I had planned to get this all done and jump into my new smugmug design today. Now I don’t see it EVER happening. Where is the help????? The little ikon offers NOTHING> You have made Smug Mug a place for photographers who have extensive web knowledge. Drag and Drop? It doesn’t happen. There are no instructions that I can find. You’re so busy patting yourselves on the back that you’ve left out huge amounts of instructional content. I can’t get past “you have unsaved changes”. I thought I’d be able to look around and try stuff out. Not possible without out a degree in web technology. Tried to get into my site to download over 800 photos I recently took at a college baseball game. Hit the login icon, type in my e mail address and password thinking I’m going to get my homepage, upload icon etc. NOT!!!!!! I get this F’n screen with sample pages. I could care less! I plan on keeping things the way they are. Now I have a card with 800+ pics, can’t download, Customer Service not responding, client expecting to see these by 8 pm tonite. Awful!!!!!!!!!!! Developing a web site through my friend who designs web pages.Leaving this rinky dinky opration as soon as my 1 year term comes up for re-newal. I’m outta here!!!!! Saw the replay of the 30 minute information “news” conference SM had yesterday. Probably the least informative, least professional news feature I’ve ever witnessed. Tell the jerk with the Superman shirt to act like a professional, get his head out of the clouds and give an informative news conference. Definitely not a public speaker or communicator. And the other people he had talking? Not very informative either. I’m here for another few months until my 1 year is up, then I’ll have my own web page, made by a professional who is there to answer any questions, by PHONE, not e mails. How unprofessional! SmugMug, I am amazed that you would release an “amazing” update as dysfunctional as the one you previewed. I can’t event view your intro video in my browser. Facelifts and improved functionality are always welcomed, but this upgrade seems to have fallen flat on its face…perhaps it will learn to walk later on. agreed! dysfunctional and chaotic! shocking! Is it Smugmugs problem, that your browser is not working? I watched it with no problem in the lastest version of Safari, and I upgraded my site in with 30.000 photos in half an hour this morning, and spent one hour adding menus (just drag and drop), adding social icons, adding some special touch and feel from the easy new Customization tools and my site looks amazing in the new Dash theme. This is the most advanced and most customizable photo site on the planet. You just have to learn how to get the best of it. It shines! Thank you SmugMug. Hummmmmm not hearing many good things about this new gig… Think I’ll diffidently be waiting out this storm and let you all figure out the bugs! Still need a site that search engines can find file named stock inventory by! Can you pull that off??? I don’t want to renew my subscription, please do not charge my credit card when it falls due, thank you. I love the changes and am up and running with no issues. I like that I can preview several different views. I was a Business user and downgraded to a Portfolio user and could not be happier. Nice job! My new Homepage is a splattering of photos from recent shots…..it’s horrible. I want my Folders on the homepage, how do I do that? This new “upgrade” reminds me of how cool Microsoft thought Windows 8 metro interface was / is. I spent 30 minutes trying to get the homepage to look like I want it and still haven’t figured it out. Wanted to delete a gallery and can’t figure that out either. I don’t think I’m going to renew, change is fine but this isn’t the old, extremely easy to use and intuitive SmugMug. about time a lot of the ‘real SmugMug people’ are coming out and blasting them for wehat they did to a great e-z to use site.. what a mess they created.. what kind of thinking went into this.. you are correct about the new homepage .. exactly what i’ve been posting on here .. same same as compared with the Microsoft windows 8 deabacle that they are now scrambling to try to fix..
what a shame.. everyone should email SmugMug.. I have already and will continue to do so until major changes are made to make Smugmug what it once was.. it took me a few years to get my site as basic as it is the way I want it… but I am happy with it… to go and do this major overhaul into what a few engineers came up with without thinking it out clearly is mind-boggling..
what a mess!! !… even the people at Yahoo-Flickr must be laughing at this.. and I won’t even mention how bad they just messed up with the NEW-Flickr–users are in an uproar about it.. but it’s a FREE site not like SmugMug..
Bob, I’m having the exact same issues. I want my folders on my homepage and spent hours trying to do that today. What were they thinking???? not at all happy with this. I chose this site because it was pretty straight forward and simple to navigate and looked good. seems you have tossed that all out. I have family that are somewhat elderly and not the best at navigating and now it has been made worse. I wont be renewing either at this point. the controls are confusing, true, but that will be improved i hope, the advantages of being able to customize the appearance of my page MORE than make up for that confusion for me. can’t speak to the comments re sales features (since i have basic account – but it’d be nice to be included there! ), but overall i see much more potential here than being stuck with the format choices i had before. before this change, i was planning to migrate my pictures elsewhere, now i’m staying. i hope there are more tutorials for setting up different features, and that there are improvements to that process, but the upside here is way bigger than the annoying video reveal. … I’ve got a Pro acct and will wait out the bugs and confusion! yeah, pro’s & con’s, but i think it’s moving in the right direction, and with all this feedback hopefully they’ll be responsive. they usually are, in my experience. re your comment, is what you’re seeing/your controls different than mine as a pro? like, apart from the sales features, are the controls/layouts different? Please tell me an iPad can still organize (move pix gallery to gallery)! My wife will freak out if she lost this feature. Hi Jim, the organizer is drag and drop by design but you present a good point of view. I’ve shared your feedback with the team that a less tactile way is desired by mobile site owners to arrange their site. Oh my. So sad. I don’t understand why we have to LOSE a super critical feature like this. For many people a tablet *IS* their computer. So how can we use Smugmug now? This is a complete disaster. 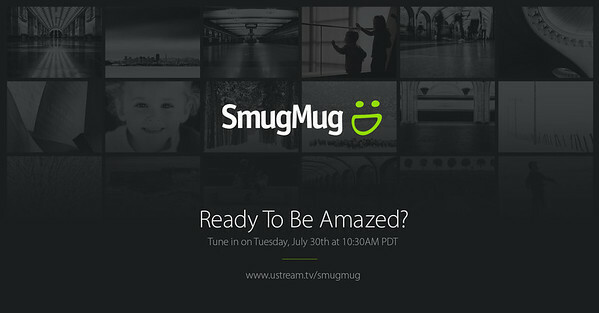 The new smugmug looks great… for my guest viewers. I don’t like how I can’t see the details and have easy access to the settings; (ex: trying to move one gallery to another category) Like where’s all the controls?! Regina, instead of digging through drop-down menus, you can drag and drop galleries and photos where you wish in the new site organizer. And you get 5 levels of folders, so you can nest things up to 7 levels deep. Please give this a try! I want this option BACK – PLEASE don’t remove the option for the client to change the viewing style!!! …the stuff they took away from us is mind-blowing. Why didn’t they have a grid of features comparing old and new? I could be wrong on this but the photo COLLECT function is not as good as it used to be. In the prior version, if you wanted to COLLECT photos from the same gallery fro a gallery of choice, you could click on a box to remember that chosen gallery without having to specify the gallery for other photos COLLECTed. However, unless I’m missing something, in the current version, you would have to go through the process of selecting a destination gallery every time you collect a photo, even if you are selecting photos from the same gallery. There are lots of FREE photo sharing sites. I have been PAYING for smugmug service for years. Now all of a sudden, there are major problems. I cannot access any of my sub categories unless I am logged in. Many of the sub categories now have -1, or -1-1 or -1-1-1-1-1 after the name. This is really amateurish. Maybe it is time to stop paying for smugmug and use a free service instead! I have the same problem with the whole -1 thing! What the heck! Having attempted to fiddle with the new SM, I’ve abandoned it for now. However on returning to the so-called ‘Legacy’ (ie proper) site I find it’s all working very slowly. Absolutely hopeless. Lets make it quite clear, if you lot at SmugMug want to stay in business, I suggest you sort things out pretty damn quick. Once the trade press get hold of what is on here and other blogs, people will soon be voting with their feet. I could not agree more! Shocking! I too have abandoned the New SmugMug.. why aggravate myself to try to create what I already have the way I like it.. the new SmugMug has options all over the place.. not as they say … the old SmugMug was user-friendly.. concise and well organized options.. e-z to locate and get to.. SmugMug has done a big disservice to their long time clients.. how e-z they forget.. this is not a good thing… as soon as I saw the story break about their coming out with a new version.. I got a bad feeling.. and I was right on.. I, too, watcherd the webinar twice and tried to make the new SM work for me with no luck. I had a Wedding to upload and the images took four hours (300) and are all out of order. Why on earth would a site try so hard to alienate those that pay? I am disgusted. The new smug site is pretty, although could use other changes to help us sell items in order for me to be able to afford the ridiculously high Pro fees.. sometime I wish I had gone with a different site, a friend of mine only has to pay $30 a year for her service. I have been out of the country on vacation in Costa Rica for the past couple of weeks. I took tons of pics that I was looking forward to editing and uploading to my pro Smugmug site. I had a nice, large slideshow on my customized site- I have not changed anything over to the new format – in fact, I am just catching up on email at the airport and read the message about the Smugmug site changes. I’m not sure what to do to fix my site and I am hesitant to break anything further. Too bad that I just renewed my pro subscription right before the announcement that changes were coming. Has anyone else experienced this? If so, how do I fix it? in all the years I’ve been with SmugMug and all of a sudden all these problems to my site are happening right after the new SmugMug is introduced… sounds kinda fishy to me.. think they want me off the Legacy site faster than I had planned to be…sooner than later.. I had no intention of switching to the new SmugMug after I saw what it was like and played with it for a few hours.. what a mess… can’t get that New SmugMug even close to the way I have my old site(Legacy).. what a shame.. I signed up with Zenfolio already and will move over there as soon as I am forced to abandon my Legacy-old site on SmugMug to go to the New SmugMug.. I just emailed SmugMug yet again for a solution.. which of course I won’t get .. we shall see.. disappointed big time.. I will keep on emailing every time a problem pops up.. I will continue to voice my displeasure with the New SmugMug in those very same emails .. my voice will be heard… others might care to do the same.. I am having the exact issue running Mac OS 10.8.4. I just uploaded a Wedding and it took between six ad seven hours. If I click on an image to see it larger, I can’t close that window without the back button. SM is going to loose a lot of us over this debacle. I would love to keep the old site, wish they would let us vote! We are paying a heafty price to be extrememly frustrated. Also, there is the the arogent, cocky attitute that gets a little wearing as well. Not being able to get real human voice support is a real downer. One has to wait several days for an email with links to written help that doesn’t address the issue. I’m shopping around. I had a couple questions myself. We used to get almost instant help. I submitted an email. 3 days later I got what seemed to be an automated email stated how busy they where and overwhelmed by our response to the new smugmug; and there was a possibility I might have figured it out myself by now . If not, here are the links to upcoming videos. Luckily I am tech saavy, but not a true web designer. Most of my problems have been around glitches to whether or not my galleries loaded after changes. That part took me hours to get working and I ended up staying with something that resembled the old format so navigation would be easier. I am up for renewal as a business (highest tier) account in a few days. I do not have time to shop around and build another site before I would lose this one. However, I am keeping my eyes open and hoping things get better. Having been in IT for 25 years, I know how new roll outs can be. But if the laxidazical attitudes continue and I have continued problems or questions go unanswered… I might go elsewhere. $300 a year is expensive for a service where I could lose customers. Can anyone name any pro photo sites like the old ( Legacy) Smugmug? Better still, cost no object, who has the best site. I don’t want the hassle of building my own. Where did all my photos go? I had everything organized perfectly and now I everything is broken. Galleries that were public are now private (and unchangeable), galleries that were listed under certain folders now unavailable, and to top it, links I have sent to clients are now broken. What is going on here? Beyond frustrating!!!! I do not want to have to reorganize 90,000+ photos again. C’mon Smugmug, let’s get this taken care of. I have migrated to the new world and I’ve spent enough time there to see that I am going to stay. As other’s have noted the migration process is not entirely smooth. Here is my review of the new SmugMug. Thanks for the review, John! I’ve shared it with the rest of our team. well after complaining for the lack of something really new, I will now congratulate SmugMug for the beautiful work they finally did, the “new” smug is indeed en eye catcher and I did setup my site (that I already used and customised) in about three hours, I am quite pleased with the choice of beautiful layouts, and the simple way to customise the site,gallery and all the other stuff. It seems the new hired people (and the old team also off course) did quite a big and nice jog. So guys, this is what I needed to stay so I guess I’m in for another five years at least. And now the price is worth it. Magnificent work! I think when it’s ok and well done, one should state that also. There are a few levels of Smug Mug… which level are you speaking of if I may ask… Reason is there’s soooooo few positives about the New SM thus far, I’m curious what level you’re speaking from. Thanks!!! Excited for you, sad for many, many others at this point. Oh yes, the only thing that I could say is that in the slideshow block we can add, it always ‘fits’ the pictures to the height of the block and I would rather love to fit or just scale to the widh of the block so I can fill it completely. I find it strange that many people can’t cope with the new design and interface, because I do think it is very powerful AND simple to implement things that we used to need the css thing and all that, and even now we can still use that. So I am very satisfied and I believe you did a great job! All my pictures are missing from my site? How do I get them back? Jason, your photos are there, under the “Browse” link that’s at the top of your page. Alright. I see them, but setting up links under Link MENU, I adjust NAME, Link To ‘Page I choose’ then under Pick One, it leaves it as UNDEFINED. I did not see this addressed in the tutorial. Why cant we pick one of our own pictures for the template design instead of having to use whatever you give us. I manage 3 websites here on Smug, and this is looking like it’s going to be extremely troublesome to say the least. Sorry Jason, I’m not sure I follow which menu for which content block you’re trying to fix. In general if you’re going to link to a page you choose, it will pop up a gallery picker window so you can select where the link will go. And if you don’t have a page or gallery already in mind, you can open up a new tab and create it. Long time SmugMug Pro User – Vast improvement – great job. People do not like change, simple human nature but this due and necessary to compete. Well done. Love the new layouts. Will only enhance my photos even more. Interesting….i see NONE of the new layouts when I look at the customizer on my pro account. What the heck? This is reminding me of the issues I STILL have with my watermark being seen on some images and not on others in the same gallery. NOT happy and I just renewed my account. FML. I log in and its’ stlll the old interface with the old options. I paid $250 for this? I paid to upgrade for the sole purpose of being able to customize, yet I’m told migration is in a holding pattern. Can someone explain what that means? Is it possible to revert to the old smugmug? No change here same old crappy looking interface. Back to Flickr! What kind of company announces that the new improved interface is amazing. Wow I am amazed NOTHING changed. Just like the Obama administration, blah blah blah then oops nothing. You can always judge the degree of thought put toward a comment when someone links the Obama administration to changes on a website. People should have to take a test in order to spew such ridiculous conjecture on the Web. Change isn’t always better. But to become better, you have to change. If that frustrates you, learn to evolve with the rest of civilization. Our world has become visually sophisticated and using a medium that measures change in weeks, not months or years, forces us to adapt at a much faster pace. Bitching about it does nothing. Nothing! Providing constructive feedback will move the needle forward, resolve problems faster and result in a SmugMug that sets new standards for visual presentation. And if you’re determined to complain, allow me to thank you in advance because you’re now one less person I have to compete with for site visitors. I would much prefer to be able to keep my “old” customized site. These new options leave me greatly underwhelmed and frustrated at the inability to make the site look the way I want it to look. One thing I have seen requested over and over since the new release; is to bring back clickable slideshows. We used to be able to click on an image and be taken directly to it. On my homepage; I want to use my slides how as a call to action to read about my services. Right now you cannot click to get more information. I’m having trouble accessing my homepage. Every time I log in and click on homepage, I’m directed to a preview of the new smug mug with no way to escape and go do my homepage. Please advise. Yep that did the trick. We contacted your Support Heroes team and they were able to resolve the issue for us.